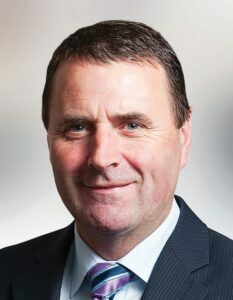 Liam was first elected to the Council in 2004 and is an effective and experienced public representative. A Branch Manager for Glanbia in Durrow, Co. Waterford, Liam is married to Marie and they have three girls. Liam has been treasurer of Kilrossanty GAA club for the past 25 years. He is a keen activist in the promotion of strong mental health and suicide prevention and is committed to eliminating the stigma associated with mental health difficulties. He is a natural leader and to date he has taken huge steps to promote positive mental health locally including organising two very well attended conferences in 2012 and in January 2014. He also has a keen interest in addressing the challenges experienced by people who live in rural areas, particularly rural isolation. Other issues he is striving to improve upon in his local electoral area is securing adequate funding for the maintenance and upkeep of rural roads and he is committed to ensuring that people who wish to live in their local rural area can gain planning permission to build homes there . As a caring, compassionate and down-to-earth man Liam will continue to put the best interests of his local community first.